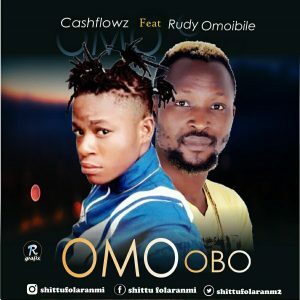 Oyo State hit maker “Cashflowz” is out with a new Banger titled “Omo Obo” featuring the sensational “Rudy Omoibile”. After releasing “Oju Obo” with Teebrain which made him a favourite amongst music pundit, he returns with yet another tune set to top the music chat. Just a click below to enjoy this mind blowing track. Kindly Listen & Download “Omo Obo” By “Cashflowz” Featuring “Rudy Omoibile”.